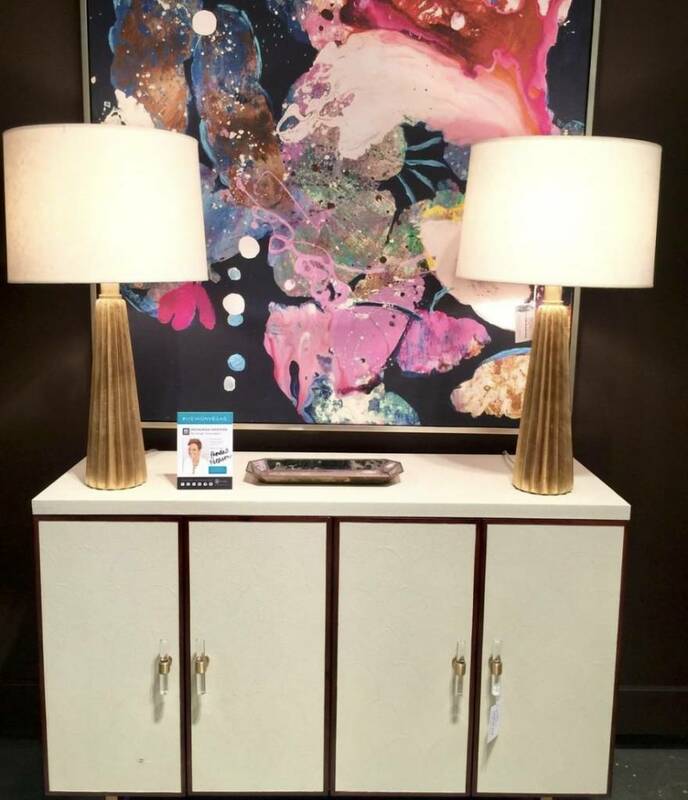 Our designers Claire McMillan and Cori Logan recently had the privilege of attending the Furniture Market in Las Vegas. This Market sets the pace for what’s cool and cutting edge in a cross-category showcase that spans furniture, home décor, outdoor living and gifts. The Las Vegas Market has 32 floors and more than 2 million square feet of showroom space featuring the latest introductions and proven bestsellers in the furniture industry. Still trending into 2019, and there was no getting away from it, is the metallic influence over our interior and exterior living spaces. We saw gold, brass and copper used in an array of different ways. Gold details on artwork, embellishments on textiles and accent furniture, even from the more conservative manufacturers. One thing we didn’t see was this year’s Pantone colour, Living Coral, maybe too soon in the season? It may see more of a movement closer to the spring/summer releases but for now there were lots of luxe velvets and jewel tones in upholstery and décor. Blue, from soft pastel to rich royal, was a clear winner for a lot of the presentations and an easy option for all over the home. Our designers Cori and Claire had the good fortune of hanging with celebrity Sid Dickens and viewing his new collection of memory tiles. Apart from the sore feet and the lack of sleep this market was a must to see.